In the distant past, Chukwu wanted to create human beings after he had created all other things in the universe. he created a man and a woman. He asked the man to marry the women and both of them lived as husband and wife. They looked very beautiful and elegant. Chukwu was happy to see them look good and strong. When he spoke to them, they responded and this gladdened Chukwu’s heart. He asked them not the move out too far from the beautiful compound he lived with them. The man had a very long nose. His wife also had a long nose. That day, the Sun was not shining. The weather was cool and Chukwu asked the man and his wife to stay indoors or in a cool shade. Later the Sun came out and saw the beautiful work Chukwu had made. He went close to them and his presence hardened their bodies and darkened them. Their pointed nose became shortened and broadened. The man and his wife became very hard and strong and turned black because of the Sun’s close visit to them. Chukwu created another couple the next day since the first batch of man and woman was a good work. 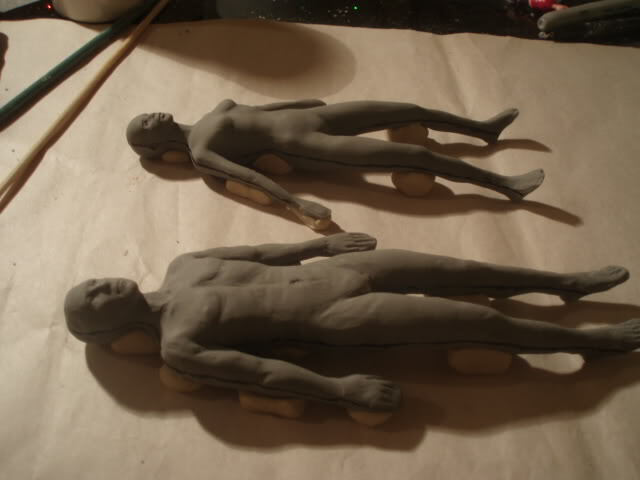 He brought out his clay and began the work of molding again. When he had finished putting the shape in order, he placed the figures – male and female – in another shade. The Sun did not see the second beautiful work their master (Chukwu) had produced again. This Sun did not come very close to this new set. They remained in the cool shed for a long time and it took time before they got properly dry. Later when they were brought, they did not see the Sun that had gone away. The pointed nose of this second set of couple remained in tact. Their body remained bright and soft. When Chukwu later asked the Sun why he came out to disturb his first creatures, the Sun apologized and promised that he would from that day take care of the couple by providing them with warmth, light and and making sure that they remain strong and have strong bodies, bones and good hard food. The other couple did not get the same benefits from the Sun like the first couple. Chukwu sent them out to a far place where the Sun scarcely gets to them. They lived in extreme cold, never smiled, and never visited each other.They locked themselves in shed and huts trying to keep warm by whatever covering they could find. Whenever the first couple came out to work or play outside, they enjoyed the rays of the Sun and its light and warmth which made them smile to one another and exchange greetings with friends and neighbors. They became the ancestors of the Black Race who are friendly, warm, cheerful and strong. The other couple became the ancestors of the White people who are a bit withdrawn, individualistic, locked up, gloomy and shaking with cold every time, soft bones and when they came to the Sun, they go out burnt. Today, many Blacks have resisted the heat of the Sun while the White skinned people fear excess heat. Even in wet season, the Sun would come out to check whether the Igbo are warm enough. He made the promise to Chukwu that he would look after the Igbo at all times. The Igbo in appreciation of the benevolence of the Sun, established a cult of him and today there are people who worship the Sun as a deity of cheerfulness and bright nature and success. “May your Sun shine for ever” is a blessing people give to those they love. 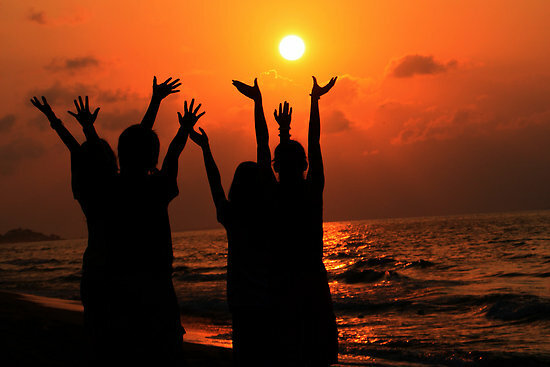 “May your Sun never set” is a wish and pray of long life for people.